You there, with that line of coke. Just hang on a second…. I’ve done my fair share of cocaine. I’m not saying that to shock. Obviously, I want to grab your attention. But some of you know it anyway, and I want to avoid accusations of hypocrisy. Because this week I’m going to talk about drug cartels (and, yes, I’ve written a song about them!). Have you been watching Narcos? It’s a series on Netflix, their version of The Sopranos. Except that Narcos is a true story, about real people. And these people – well, it’s hard to believe we share a planet with them. Mind you, you ain’t seen nuthin’ yet. The first series of Narcos is the story of Columbia’s Pablo Escobar. It starts off as the story of a folk hero, at least to his own people. He takes on the government of Columbia, which is impervious to the needs of ordinary people, who are poor and neglected beyond our understanding. So Pablo gives them jobs, builds schools and hospitals and ends up more popular than film stars or singers. Which, of course, the government cannot tolerate. What happens next is an escalation of violence that makes you question humanity and your own sanity – how could you possibly have thought Pablo Escobar was anything but evil? Well, bad as he was, the Mexican cartels are worse. Transgressors are tortured, skinned alive (flayed), decapitated, dismembered, hung from motorway overpasses. In one six year period to 2012, 100,000 people were slaughtered in the interests of cocaine trafficking. And yet Americans alone spend about $30bn a year on the cocaine that is causing untold misery just the other side of their border. Not to mention the environmental damage. The process of maceration – turning the innocent coca leaf into a paste, the basis of cocaine itself – requires a mixture of kerosene, sulphuric acid and lime. This appalling cocktail, once it’s done its job, is allowed to run off into local waterways. You will never stop these people. There’s always someone ready to take their place. The means of smuggling becomes ever more sophisticated. In 2011, US officials found their first narco submarine. No-one knows how many there were/are. Costing $2m to build, one submarine can carry $60m worth of drugs along riverbeds and into America. But even as the first submarine was discovered, the narcos were already investing in drones. They are always one step ahead. I stopped buying cocaine in 1982, when small time dealers started ‘stepping’ on it. There might be five or six ‘stepping’ stages – bulking up the cocaine with baby milk, talcum powder and laxative (oh yes!). But then it got worse. As the cocaine ( £60 a gram) became less and less of a constituent, the familiar ‘sting’ to the nasal passages was missing. So they started using scouring powder (Borax in America, Ajax in the UK). Ajax – yeah, that stings alright. And then, of course, as the cocaine element in your £60 envelope diminished, so did the expected effects of the drug. So they replaced even more of the cocaine with amphetamine sulphate (£15 a gram) for an extra kick. Unfortunately, amphetamine sulphate (speed to you and me) is highly addictive. Which, of course, brings a whole slew of new problems with it. Stopping using pure cocaine was easy. Stopping using something that is less than 20% cocaine (but still at cocaine prices) bulked up with the highly addictive sulphate would be a different proposition. In the intervening 33 years I’ve accepted a line here and there maybe half a dozen times. It has routinely proved to be crap. And disgusting crap at that. So: torture, death, addiction, environmental pollution, all for a fraudulent product; not to mention one trillion dollars flushed down the toilet in the ‘war on drugs’ – what does it take till a supposedly civilised society throws up its hands and accepts the case for legalisation and control? 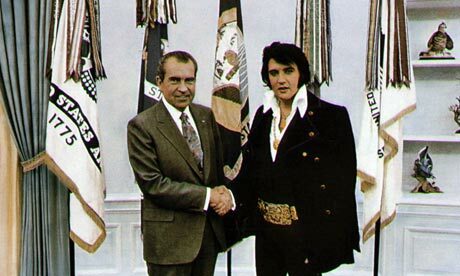 It was Richard Nixon who started the war on drugs. He allocated a budget of around a half billion dollars. Most of the money was to be spent on treatment and rehabilitation of addicts. Today America alone is wasting over $100bn a year on an actual war – fought against narco cartels whose annual turnover is sometimes larger than that of the country they operate in, and whose private armies are better-equipped than the army of their sovereign state. (You think I’m exaggerating?). Throughout the world we already have the means of clean and controlled manufacture. In our international network of regulated pharmacies we also have the means of controlled distribution and sale. Wipe out the narcos raison d’être overnight: take drugs off the street, tax their sale to fund treatment for addicts, reallocate the $100bn war-on-drugs fund (£10bn in the UK) – isn’t it a no-brainer? Meanwhile, there’s a Mexican tradition of corrido, songs that – in a pre-digital era – spread the news, and revolutionary ideas and expressed the feelings of ordinary people. Today there’s a nasty extension known as narcocorrido – songs that celebrate the drug cartels, their acts of violence and the power they wield. These narcocorridos are not spontaneous outbursts of admiration. They are coerced. “Write a song about me and make it respectful and adulatory – or I will kill you.” As Pablo Escobar himself said: “Take my silver or take my lead (ie: my bullet)”. In other words, there’s no middle ground. If I ask for your help and you refuse, you will be killed. As will your family. And anyone else we can think of who will help to spread the message that you don’t say no to the cartel. And if they haven’t invited you in, you still don’t go against them in any way. No-one doubts it. The media in Mexico has been extremely circumspect in recent years, simply because large numbers of journalists and broadcasters have been slaughtered as a means of intimidation. In some areas the local cartel literally controls the media. Even blogging isn’t safe. They may be barbarians, the cartels, but they are not living in a barbaric age. They have the technology to track you down. Bloggers have been killed. It’s a brave soul who speaks out. So the narcocorridos are no surprise. Given a choice between a horrible death and putting up a YouTube video of a song celebrating those who will kill you if you don’t, what would you do? Well here’s what I’ve done. This is a narccorrido, but not sung in praise. I wouldn’t be so brave if I lived in Mexico, believe me. And if you want a cracking good read, and an education in the drug trade, I highly recommend Don Winslow’s Power Of The Dog (2005) and its more recent sequel, Cartel. Brilliant novels on any level. And the Channel Four documentary The Legend Of Shorty, and Cocaine: History Between The Lines, an exceptionally well made documentary recently shown on Sky and currently up on Vimeo. If you’re a user, you won’t want another line until you can get it from your local Boots. The federales are my army and who can help you? The BBC needs to show some humility to maintain the high ground. I’m 22 years old . There’s a BBC press conference. The room is full of fag-ash hacks, men in suits and stroppy photographers. I’m not even a boy by comparison. I’m a baby. And there’s the BBC brass, at a table up front, proudly announcing the signing of a new contract with Terry Wogan. Terry wanders in as his name is called. He beams. Cameras flash, microphones are thrust, questions are shouted. When it’s all calmed down, I put my hand up. I’m an easy mark: hippy-ish clothes, long hair, too young to be serious. So, yes, let’s have a question from Music Week’s young radio correspondent. Chins drop. Pins drop – and are heard. Fleet Street faces turn to see – who is this cheeky fucker? We’ll draw a veil over the rest of it. Wogan, to his credit, was vastly amused. We bumped into each other on the street afterwards. We’d both got out of there as quickly as we could, while the rest slurped and supped at licence payer expense. “Ah,” he said. “The young whelp who asked the awkward question.” He obviously didn’t give me the answer I wanted, but he was clearly impressed I’d asked what no-one from Fleet Street had dared. In that little vignette I think we see the genesis of the BBC ‘problem’. ‘We’re competing in a commercial market’, they say, ‘and we can’t let our competitors know our terms’. Except, of course, that’s not what the BBC is for. First off, let me say – I love the BBC and I completely support the licence fee as a form of finance. But its (the licence fee’s) days are numbered, with or without political interference. The British without the British Broadcasting Corporation would be vastly poorer culturally. That’s my opinion. I’m open to rational arguments to the contrary, but I’ve never heard one. However, the BBC is its own worst enemy. When your budget, taken from the public purse, is approaching £4bn annually even the rational among us must begin to ask questions. As a public service broadcaster, there’s no need for more than two television channels (and hold your horses, because I have other options). I also cannot see the point of Radio 1, except as a hook to get young people into the BBC habit. Well, that’s not happening. Young people have a different agenda today, and public service broadcasting (which Radio 1 is not) is not on their horizon. There’s no public service requirement for 6 Music. Oh, I know we all love it (well, some of us). But it’s not doing anything that can’t be done commercially. There’s no public service requirement for Radio 4Xtra. I would also get rid of mono-cultural stations. We’re supposed to be building a cohesive society here. Broadcasting to social ghettos is not helpful. Jeremy Vine’s show on Radio 2 – what’s that all about? It’s like a news version of the Jeremy Kyle show. I’ve got my doubts about Radio 2 having any genuine public service value. In the era of apps for traffic and weather, and with your local news available on whatever device is closest to hand, there is no longer a rationale for the local radio network. Finally, the BBC website is a monopolistic disgrace, and absolutely illustrative of the Corporation’s overweening ambition; what I call corporate ego. It should be reduced to news headlines and links to programmes. It is a massive drain on programme budgets and generally speaking a vanity project of the most narcissistic kind. It is also inexcusably anti-competitive. That’s the bad news. Now some good. The World Service should be restored to its former glory, properly financed and no argument. Radios Three and Four should have their budgets increased, maybe even doubled. They cost pennies by comparison with the big tv budgets. Radio 4 is the most important entry point for comedy and drama, and massively important to the ‘national conversation’. BBC4 is what BBC2 used to be – great documentaries, un-dumbed down cultural interviews and fantastically entertaining and educational programmes about a vast range of music. It also used to make great original dramas, but that budget was slashed, and the output stopped. Today, the vast majority of BBC4 is repeats. So closing down BBC4 and scheduling its new output on BBC2 would scarcely be revolutionary. In the digital age, when the majority of viewers can access iPlayer, there’s no excuse for BBC2 running repeats of The Rockford Files, QI (on almost constant rerun elsewhere), Yes Minister and ‘Allo ‘Allo. We also don’t need cookery programmes from BBC2 (again, hold your horses; solution coming up). So, two TV stations, Radios 3&4, The World Service, and a cut-down website. That might represent £1bn cut from its cost. It would put a huge dent in the argument which is forcefully, continuously and self-righteously conducted in the pages of many national newspapers – the Mail, the Times group (Murdoch-owned, of course) and others; not to mention increasing numbers of UK residents. A stripped down BBC could see the licence fee back under the £100 mark. The argument for turning it commercial would lose its edge. That would give the BBC room to breathe, time to figure out its role in a world where television becomes less and less about destination viewing. The recent primetime Sunday night drama, Jonathan Strange and Mr Norrell, didn’t even make BBC1’s own top 10. That’s not a reason for not making it. It’s just indicative of a new reality. We have no idea how our grandchildren will be viewing, but somehow we have to get ready for it. So, in its new incarnation, let’s give the Corporation a third channel (BBC3, say) to develop a subscription model. If people want programmes like The Great British Bake-Off, The Voice or Strictly Come Dancing, they will surely pay £6.95 a month to subscribe to a BBC version of Netflix. But the beauty of a model like this is that the BBC could continue to develop great drama (as HBO has done, with Netflix now following in its wake). And while we’re at it, let them have a fourth channel (BBC4, say; see how this is working?). It would be On Demand, where people pay for the programme they want, when they want, like, I dunno, Virgin and Sky. £0.99 for half an hour (to watch all those great old sitcoms); £1.99 for anything an hour or more – drama series and nature programmes. I know you’ll say, “We’ve already paid for them”, and so we have. But future generations haven’t. There will – no doubt in my mind about this – come a time when the licence fee is socially (and therefore politically) unsustainable. In 10 years, the BBC could have developed a whole new finance model that would surprise them. It would still be public service, still trading on its (and our) heritage. It could become a commercially sustainable version of itself without ever having to be dependent on advertising. As for threats to its very existence on the basis of its political bias, that’s a whole other story. Almost every Prime Minister since Winston Churchill has sailed in that ship. On behalf of Tony Blair, Alastair Campbell bullied the BBC daily, publicly and shamelessly for 10 years. But it’s still here. If it can stop being a preening, bullying monolith, it will still be here when we’re long gone. I’ve met a lot of famous people. As a journalist in the music industry, a&r man, pop singer and producer, and editor and publisher of film and tv magazines, it’s always been part of the day job. I wouldn’t say I was blasé, but I have to admit that, from day one, I’ve rarely been overwhelmed. The day I started at Music Week, for instance, in August 1967, I was sent to London Airport. The Mamas & The Papas were coming into town and there would be a press conference. An 18-year-old boy, barely a year out of Wolverhampton, hob-nobbing with the world’s press and one of the best-selling acts around – I should have been excited. But, honestly? No. Every now and then, there’d be a frisson, like the time I got the phone call from George Martin which I told you about last week. But there’s only been one brain-jolting, stomach-turns to-jelly, honest to goodness melting moment, and that was when Muhammad Ali came into the room. It was a big room, a community centre on a north London council estate. There were maybe 200 people already there. At the very moment Ali came through the door I was on the opposite side, a good 40 feet away, with my back to the door, deep in conversation. And yet, my stomach did turn to jelly, and I knew he was there. Maybe it was a change in atmosphere caused by those who saw him immediately. But I have never, ever in my life felt someone change the energy in a room so utterly. I turned around, and there he was: the Parkinson’s-stricken hero of my boyhood, still picking out the closest child, mock-boxing him, making him feel the centre of the universe. Undeniably in his prime the most beautiful man in the world, he was now a shuffling relic of himself, and yet still possessed of the charisma that had made him the most famous man on the planet, a charisma that could literally be felt. I watched in awe as he made his way through the room, confronted by, surrounded by and followed by love. At the same time, the journalist in me picked up on the reactions of two other quite well-known guys also present: former (and soon to be again) world heavyweight champion George Foreman; and former world heavyweight champion Joe Frazier. Foreman regarded the only man who had ever knocked him out with clear affection. Frazier, on the other hand, just looked irritated. Frazier’s relationship with Ali was very complex, with some serious – and, to be fair, quite justified – bitterness thrown in. Watching George Foreman with Muhammad Ali was touching in the extreme. He looked after Muhammad like an attentive brother. I talked to George and he encouraged me to talk to ‘The Champ’. “He’s still all there, inside,” he told me. So I did, and I told Ali that, as a child, I had been allowed to get up at 3am in the morning to listen to the live BBC broadcasts of Floyd Patterson’s three fights against Ingemar Johansson. The thrill of being awake in the early hours of the morning, and the noise of the crowd and the excitement of the commentary turned me into a lifelong boxing fan. Then, one Saturday lunchtime, I caught Fight Of The Week on BBC television’s Grandstand, and there was this boy-man, just seven years older than me, and utterly mesmerising. I was hooked. Apart from his first fight with Sonny Liston, when I – along with every boxing expert in the world – thought he was going to be killed, I never lost faith. Even Muhammad Ali talks about ‘Muhammad Ali’. Growing up in the era of Ali, The Beatles, American Civil Rights, John F. Kennedy and Bob Dylan, gave millions of us belief that the future was bright and golden; just……better. My song this week is about my own disappointment that that faith proved to be false. Two episodes sparked the song. One was watching a programme where Louis Theroux was in an American prison talking to lifers and Death Row inmates about what it takes to survive in such a place. Whoah! What he was saying was, there was no value placed on higher feelings. It was dog eat dog, and if you didn’t look after number one you were dead. Which set me thinking about the Hutus and the Tutsis in Rwanda and their merciless treatment of each other. And of the child soldiers in Sierra Leone who would overrun villages, round up the men and boys and ask them to choose, “Short sleeve, or long sleeve?” Which meant they had a choice for their hand to be cut off at the wrist, or their arm above the elbow. I’m not a pessimist by any means. Generally I find the world an exciting and fascinating place. But by the same token, I’m not blind to the wickedness evident all around me. Maybe I should have written a song about the need for more heroes. Where is the new Muhammad Ali? Where are The Beatles for our children? Is there a JFK or a Bob Dylan on the horizon? But I didn’t. I wrote this song, called Time Rushes By. The recording is a work in progress, so I hope you can see through the faults. I’m going ‘off brand’ a little bit this week, although not too far off, given the music industry’s record when it comes to illegal drug use. I’m supporting Anne-Marie Cockburn, whose daughter died because she took a dose of ecstasy that was so well made, a fraction of the usual dose would have been enough. Because illegal drugs are so badly manufactured as a rule, there’s frequently very little of what you think you’re buying in there. So you end up taking more than you would if it was pure. The tragic consequence of that is that when the drug is properly put together, and you take your usual quota, you’re actually overdosing. Which is what happened to 15-year-old Martha Fernback. How is a 15-year-old supposed to know? And that’s why her mother, while acknowledging that no-one wants to think of their child dabbling in drugs, has called for legalisation. Last year I posted a blog on this very subject in another guise (thewritestuff.uk.com, my journalism website). Here’s an edited version of it. I had planned before Christmas 2012 that my first Blog of 2013 would be to try to state a case for the legalisation of drugs. Talk about catching the zeitgeist! In quick succession, with 2013 barely under way, Mary Wakefield in The Spectator and Eugene Jareck in a BBC4 documentary (The House I Live In – try to find it online) put the case for legalisation. In the Sunday Times of January 13, Margarette Driscoll reported that economists and conservatives are coming round to the idea that there is a business case to be made for decriminalising all drug use. Mexico provides some clues, situated as it is on the other side of a porous border with the United States. It is scarcely believable that civilisation has broken down so badly in Mexico that people are being beheaded and their bodies (and heads) left in the street as a warning to others. This is a frequent horror that does not spare children. Live skinnings are also reported. What level of barbarity have we reached where the very idea of removing someone’s skin while they’re still alive even enters the mind? Police and politicians are powerless – the police, in fact, barely function. When they do, they are mercilessly executed, their bodies hung from freeway overpasses. Little wonder that many of them now work for the drug cartels. A country which cannot even police its own streets is a country with no hope whatsoever. The truth about the War On Drugs is that it has been lost, and that there is no hope, ever, of winning it. If it is a war on drug users, it was lost before it began. People want what people want. If it is a war on drug dealers, the ever-rising prison population in America tells you that even the prospect of life imprisonment is no impediment to succeeding generations of ambitious wannabees. If it is a war on the drug cartels the past 40 years has demonstrated its futility. The incredible amount of money swilling around the globe from the proceeds of illegal drug manufacture has financed private armies bigger than those of their host countries. The cartel bosses live in ultra-luxurious fortresses that can repel anything short of a drone attack. These people are more powerful than the democratically elected governments of the countries in which they operate. They have more money and set absolutely no limits on what they will do to protect their interests – an intimidating cocktail of torture, murder and political assassination. When Richard Nixon launched the war on drugs 40 years ago the budget was around $80m. In 2010 it was officially £15bn, but – when state and local government expenditure is added in, not to mention the cost of the imprisoned population – the cost was closer to $40bn. In the UK, we spend an estimated £14bn policing drugs. Putting all moral arguments to one side, at today’s prices, Nixon’s original $80m would now be $440m. That means that the real cost to the American taxpayer, at $40bn, has increased 100 times in real terms. And for what? America, with 5% of the world’s population has 25% of the world’s prison population. Half of these 6m prisoners are convicted of drug-related crimes. In the meantime, drug consumption has increased and the drug cartels have become richer and more powerful. At the same time, the drugs themselves have become either more powerful and, consequently, more dangerous or are adulterated with disgusting and sometimes fatal additives. Spending one trillion dollars (the cumulative cost over 40 years) on a losing battle is utterly indefensible. There is now no moral or economic argument against legalisation. At a stroke, by owning the manufacture and sales, society can control quality and distribution, benefit from tax revenues, dramatically decrease the criminal element within and decimate and hasten the decline of the drug cartels. A side benefit would be that we could start spending the ‘war on drugs’ budget on what Nixon originally intended it for, which was (surprisingly) mostly about treating addicts and rehabilitating them. If you keep your eyes and ears – and your mind – open, you will see in the coming months and years that this is, finally, an idea whose time is coming. If you want to fight against it, start marshalling your arguments now. They had better be good: the moral and economic facts are stacking up overwhelmingly against you. No song this week, because this is not about me.